The centralised Intake Service for all bereavement calls to Red Nose Grief and Loss was introduced on 1st July 2014-2016 in NSW, VIC, WA, ACT, Hunter and QLD) during business hours. This service operates out of the Sydney office. All intake staff are fully qualified to provide bereavement support, information, resources and referral. The intake support pathway has been designed in order for the bereaved parent to access the services that best meet their needs. It is the role of the Intake officer to provide bereavement support and assessment, to inform clients of the services offered by Red Nose Grief and Loss and to assist them in accessing the services that are most helpful to them at the time. All calls to the Bereavement Support Line during business hours are handled by Service staff. All calls to the Bereavement Support Line after business hours and across the weekend are taken by trained Red Nose Grief and Loss Counsellors or Telephone Support Workers. All Telephone Support Workers are trained Parent Supporters who have undertaken further training for the afterhours bereavement support line. Available at Red Nose Grief and Loss offices located nationally. Counselling services can be either face to face, by phone or by Skype. All counselling staff are fully accredited and trained and highly professional with many years’ experience and include Registered Psychologists, Social Workers and Counsellors. 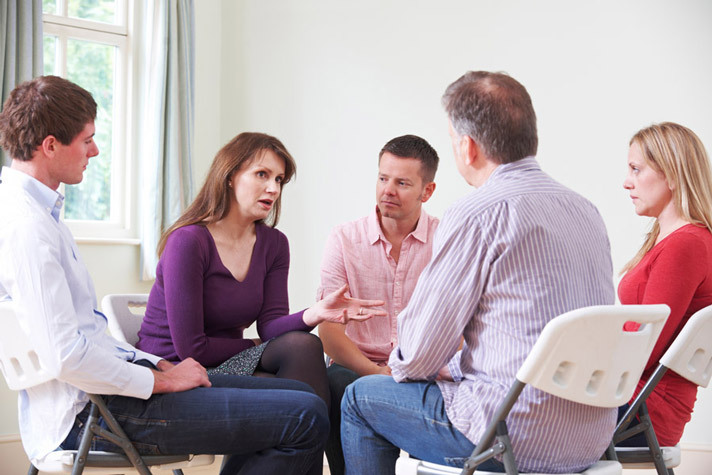 The counselling staff at Red Nose Grief and Loss facilitates a range of monthly Support Groups in each location. Memorial/Remembering services are conducted each year by every office of Red Nose Grief and Loss. Generally these services are scheduled to coincide with Red Nose Day (the last Friday in June) or Christmas time. These services provide the opportunity for bereaved parents, families and friends to pay tribute to the baby or child who has died. Contact 1300 308 307 for further information about services occurring in your local area. Ongoing education is provided to health professionals, community groups, emergency personnel and the workplace to assist these groups in supporting bereaved families following the death of a baby or child. Health promotion, training and education is based on the Safe Sleeping guidelines. A library of bereavement and support literature and books is available at all offices of Red Nose Grief and Loss. Red Nose Grief and Loss publishes a newsletter, ‘Guiding Light’, several times a year with special editions provided around times like Mothers’ Day, Fathers’ Day and Christmas. The Newsletter is designed as a place for bereaved parents to share their experiences and to provide information on grief & loss, bereavement services available, plus suggestions on how to deal with anniversaries and important dates. Red Nose Grief and Loss has recently been developed in collaboration with bereaved families to offer information and further accessibility to our support services. The website has sections for Parents, Family/friends, Professionals and Parent Supporters. There are many specific sub-sections including information for Bereaved Dads, Grandparents, Siblings, Employers and Colleagues. This website will be evaluated and grow as required. Informal Drop-in Groups - Held in some locations. Children’s Group - Each school holiday period, a Children’s Group is held for bereaved siblings. Ages generally range between 5 years up to 12 years. Family Events – such as ‘Walk to Remember’. Treasured Babies’ Program (TBP) – provides gifts for families whose baby has died in the perinatal period. The gifts contain beautiful and specially designed handmade clothing, literature and naming certificates. The TBP also supplies Angel boxes for burial, Memory boxes in which to keep precious items, Remembrance boxes for early losses and Comfort shawls for the bereaved parents. Families receive the TBP gifts free of charge. The program is fully funded by donations and sponsorship. All materials used have been kindly donated. The TBP packs can reduce some of the stress for parents at a time that is already very difficult. Red Nose Day - National Fundraising – is held on the last Friday of June every year and is the major national fundraising activity on the Red Nose Grief and Loss’ Calendar. Research – secure funding through corporate development. Advocacy – To provide free, confidential and professional support and service to anyone impacted by grief and loss due to the death of a baby or child during pregnancy, birth, infancy and childhood. All support services provided by Red Nose Grief and Loss are free of charge.